This is Tabo, the Uncatchable. He is an orphan boy with exceptional intelligence and agility. He is a member of a clan called 'The Fishers'. 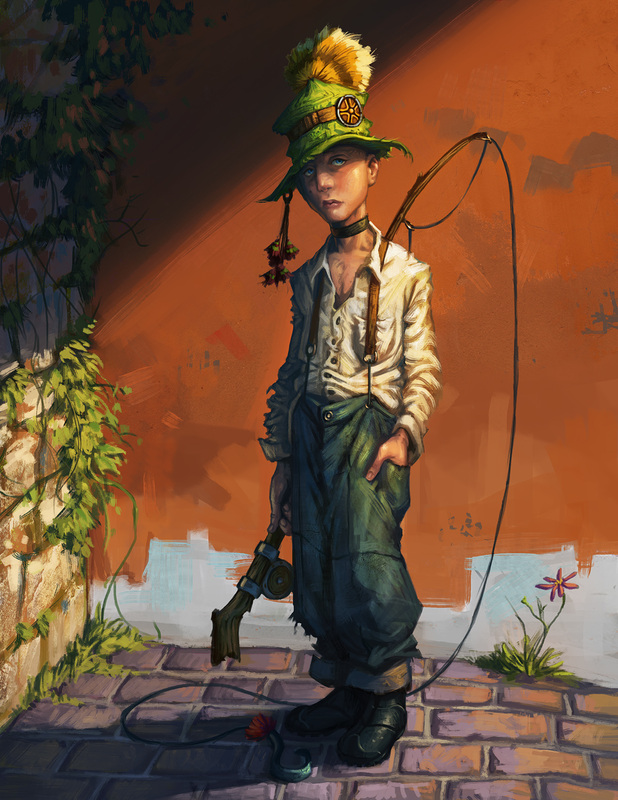 The Fishers is composed of talented orphans that want to provide food and shelter to those in need. They target only rich people with a corrupted mind to steal their properties using their fishing rods and hooks. They also ensure the safety of neglected members of the society by preventing violent crimes and injustice. They are also very playful and lazy at times. They choose freedom over a comfortable bed. Tabo is an intel of the club. His agility and impeccable sneaking skills enables him to scout anywhere. He uses his intelligence to come up with quick improvisations when he is in trouble. This is a character design for a personal project.